When visiting a new doctor, patients are usually supplied with a number of information packets that are to be filled out. 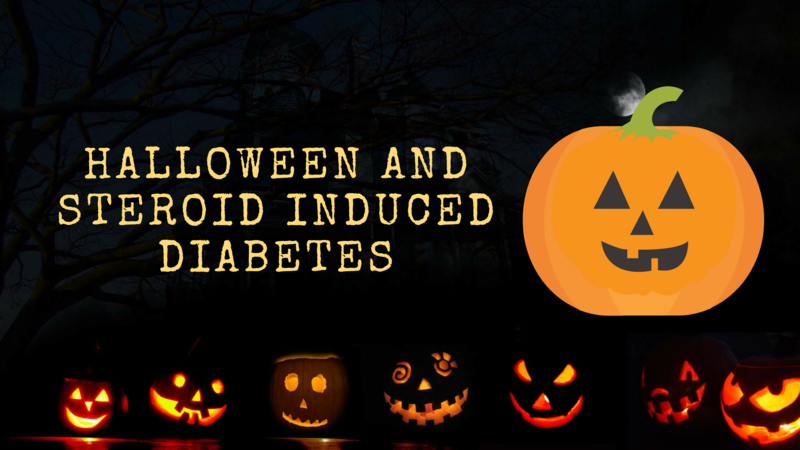 Some, if not most of these, require signatures to allow the doctor to treat you. This is where it becomes tricky. The information packets can say anything, from your co-pay charges to allowing the doctor to treat you however he or she sees fit. It is extremely important to read these packets in detail so that you can understand everything that you are agreeing to. If you don’t agree with something, you don’t have to sign it. You can discuss your trepidations with the office staff and/or the doctor to see what can be done. Signing something you haven’t fully understood can be hazardous later if you feel you have been wronged. Once those documents are signed, you have agreed to everything that is stated. 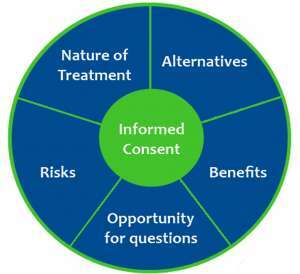 Do the issues of informed consent lie on the patients or the physicians? The information is there for the patient to discover, but is it up to the physician to clearly inform the patient about his or her medical choices and decisions? Or is that the patient’s responsibility? Is this a clear boundary? 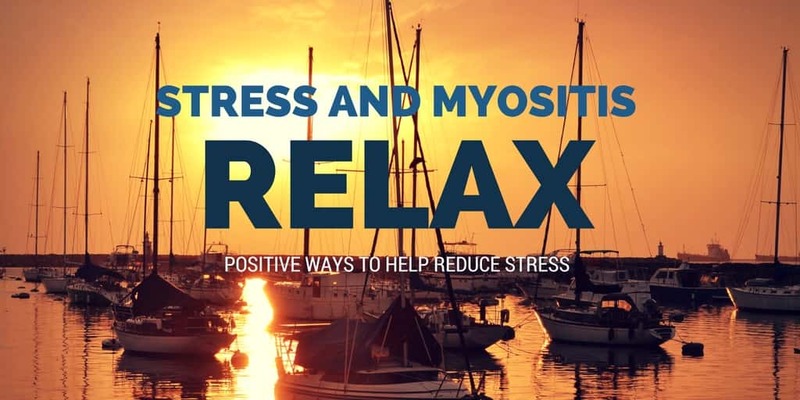 If you have any form of Myositis, you know how difficult finding the right treatment can be. 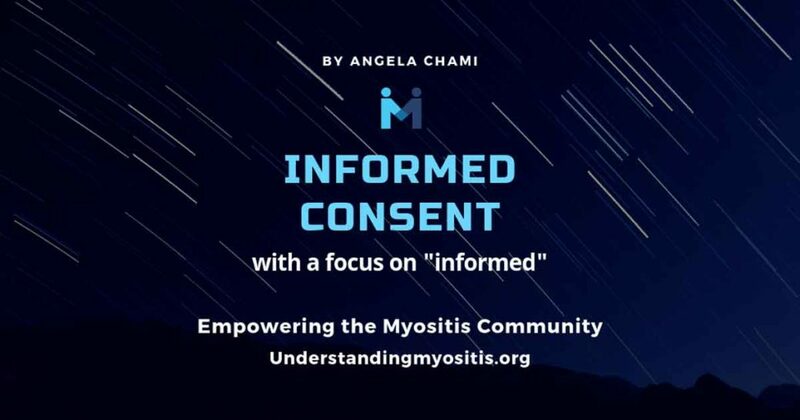 For some, even finding the right doctor is a struggle, since there is a possibility that your doctor might not ever have heard of Myositis before seeing you. Doctor appointments can be somewhat daunting and intimidating. We seem to know everything we want to ask during the appointment, but when the time comes and the doctor walks in, our minds can go blank. In this situation, we suggest having somebody come to your appointments with you to be your “back-up.” This person should be someone you trust with your medical information and someone who is well-versed in your symptoms and diagnosis. Write down everything you want to say and give your supportive companion a copy. If you are feeling stumped, or your mind goes blank, that can be the perfect opportunity for your “back-up” to chime in and ask the doctor a question for you. Don’t be afraid to speak your mind. Remember, your doctor is working for YOU and you deserve the best treatment possible! If your doctor isn’t willing to listen, then it might be time to find a new doctor who will. Each patient’s specific situation is different, whether or not they are all diagnosed with the same disease (PM, DM, NAM, IBM, etc.) Even though most Myositis patients are on a variety of the same medications, the truth is that not every medication works for every patient. It’s a trial and error process. 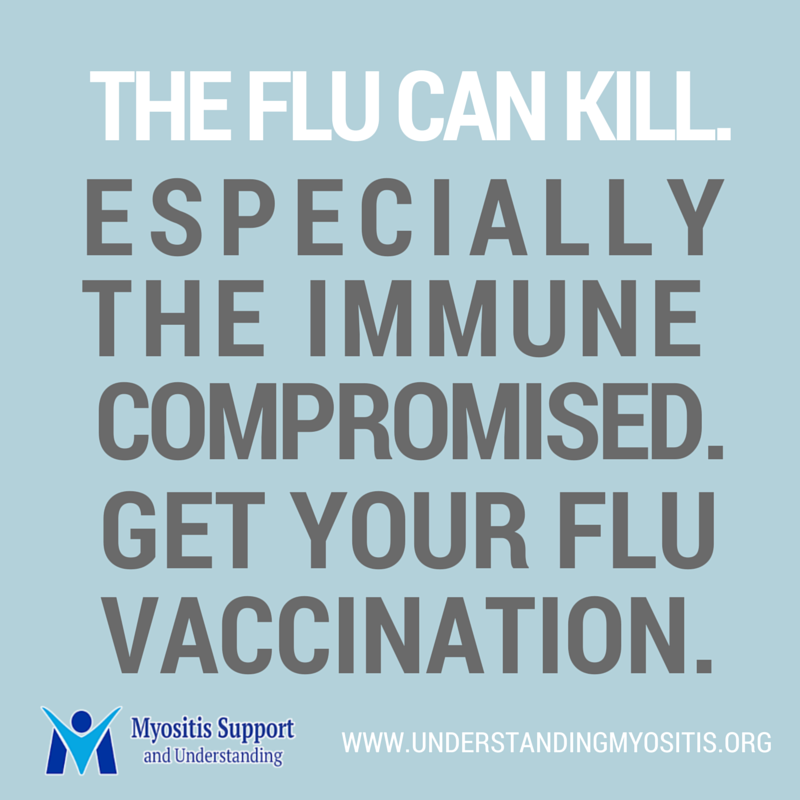 Some doctors know this, and others do not, which is why it is so important to see a physician specializing in Myositis. 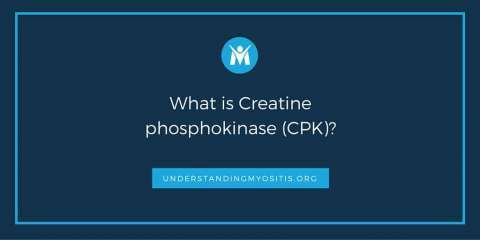 You could see a doctor who is familiar with Myositis but might not have treated more than a few patients. That could mean his or her experience is lacking, and she/he may not know the vast number of treatments that are available for PM and DM, as well as maybe not knowing that treating IBM may do more harm than good. It is extremely important to remember that our doctors work for us, not the other way around. We hire them, and we can fire them, especially if they are not doing their job. If a doctor is intimidating, stubborn, and not spending enough time with you during your visits, it might be best to look for another care provider who will dedicate his or her time to make sure you are well taken care of. It is also important to recognize when a doctor is really trying and is frustrated himself or herself. After all, they are human too. So ask yourself, is the doctor really trying, really working to find a solution, but just having trouble with the stubbornness, and the difficult nature of the disease, or is he or she making me feel unheard, invalidated, and not trying his or her best to find an efficient solution? These are important questions, especially considering the long wait times to get into new appointments with specialists. Often, if you can establish open communications with your doctor you will find that they genuinely want to help you; they just may need time to figure out the best solutions. In the alternative, if you are not feeling that they are open to your concerns, current research, and information that you bring to them, you have the right to seek other opinions. Advocating for yourself is vitally important. Read up on your condition, study it, and most importantly, find support. There are others like you out there that are likely in a very similar, if not the same, situation as you. The Internet is a great tool to find support, become educated, and advocate strongly for yourself; while also realizing that you still need the doctor to help interpret the information you have found and, obviously sign off on a treatment plan. No doctor should have power over you. It’s your body: take control! But also remember to be respectful of your doctor if they are truly trying to help. This is where informed consent really becomes important. When a new treatment regimen is suggested by your doctor ask probing questions. What are the side effects? What are the potential adverse reactions? How high are the incidences of those reactions? What precautions can be taken? We recently had a patient in our group who was told that a popular drug carried a small, but present, risk of a dangerous brain infection. When she posted asking about it in the group, the number of patients on that drug who had no knowledge of that risk was astounding. This is a possible informed consent issue. If you are going to be taking a drug with a potentially life-changing risk, one would think you should know that risk before consenting to the drug. Additionally, we want to reemphasize the importance as this was the case for one of our patient members who caught that she was given a prescription for a drug, under a different name, that had previously been suspected of causing her a heart attack. It was only because of her meticulous notes that she caught the mistake. This is another type of informed consent. Names of prescriptions vary by manufacturer, generic, formulations, etc. It is important to cross-reference and make sure you know what exactly it is that you are taking. We are taught to have faith in our doctors and put our full trust in them. They went to medical school, so they should be well-versed in this health “stuff,” right? There shouldn’t be an imbalance of power. You have a right to be treated with respect and treat them with respect in return. Doctors are taught about patients from a generalized viewpoint, conditions as they usually present, and medications in the ways in which they generally work. The problem with this is that every person is unique, can present totally different symptoms, and medications don’t always work the same for all patients. Doctor-Patient relationships are extremely important and should be based on mutual respect and open communication. When you are meeting with your doctor you should feel that you can ask frank questions and get honest answers. 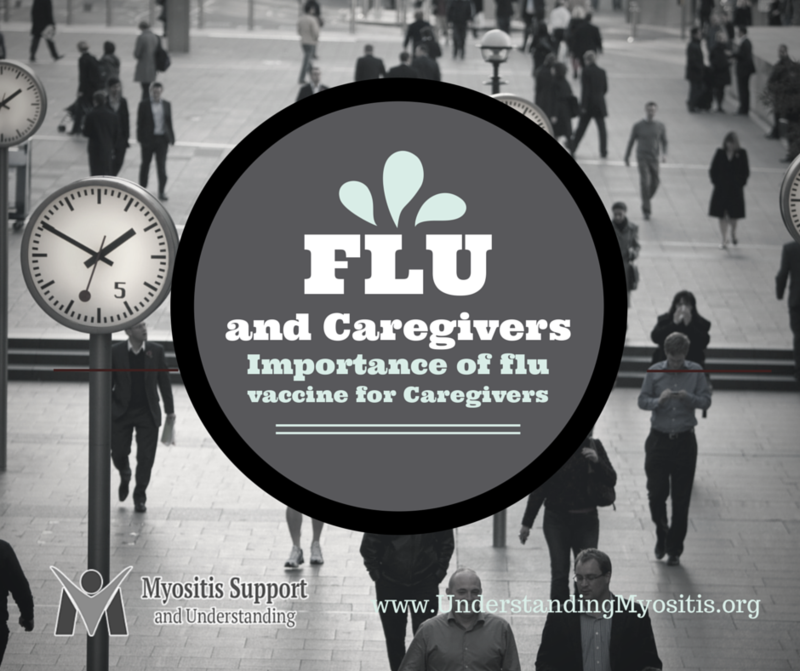 Your concerns about medications and your myositis (or other conditions) should be met with compassion and honesty. While we don’t advocate monopolizing the doctor’s time; we do advocate that you use your time wisely and respectfully to get fully informative answers. This way, when you sign off on getting a new treatment you can go into it with an open mind and a willing disposition, without fear, that it was the right decision, that the benefits clearly outweigh the risks, and that you can be confident you had all of the information to make a good decision – for your health. This article is for informational and educational purposes only and should not be considered medical advice. 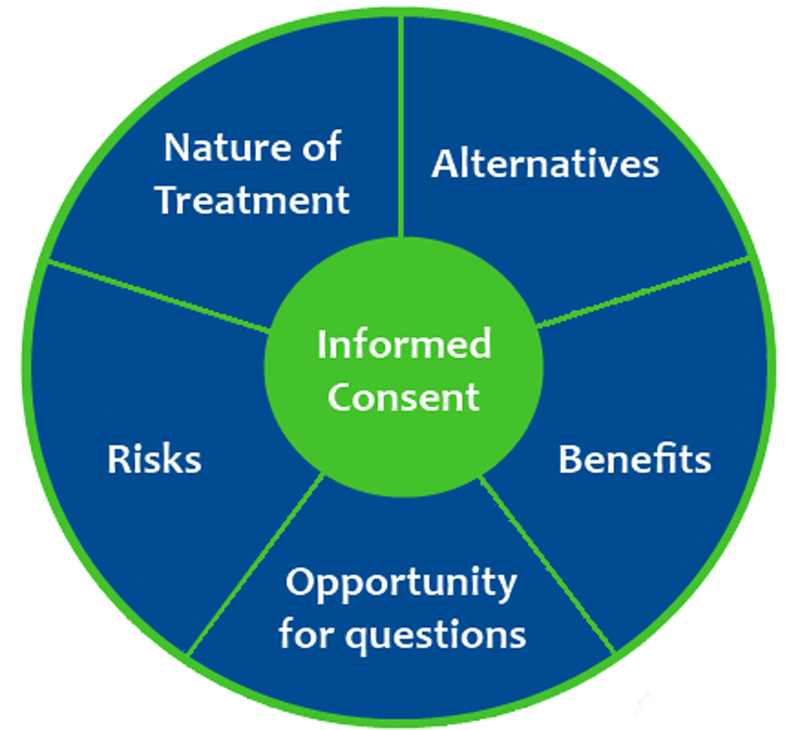 Please consult your physician or legal representative for more information about informed consent. Children and Germs, the gifts that keep on giving!